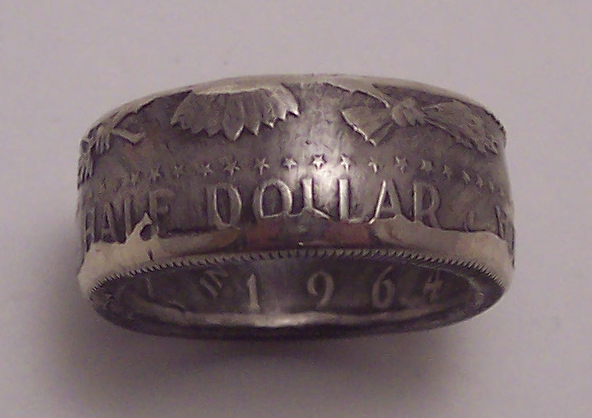 Pictured is a Kennedy Half Dollar tails side out. 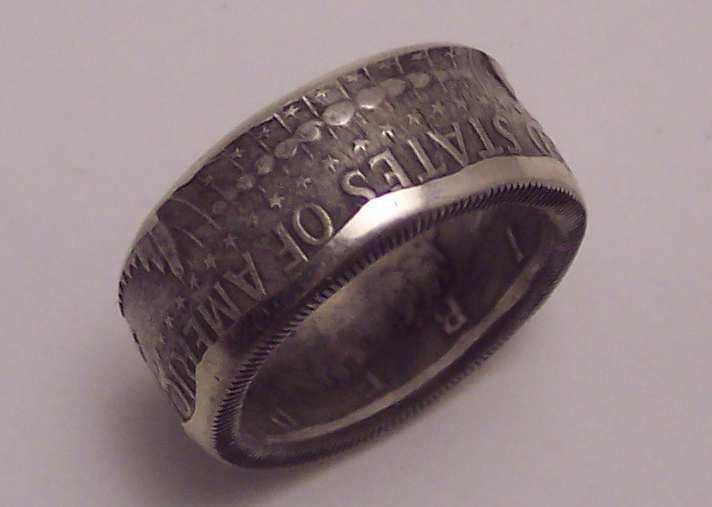 I also make Kennedy Half Dollars in reverse. The Kennedy half dollars I use are 90% fine silver. 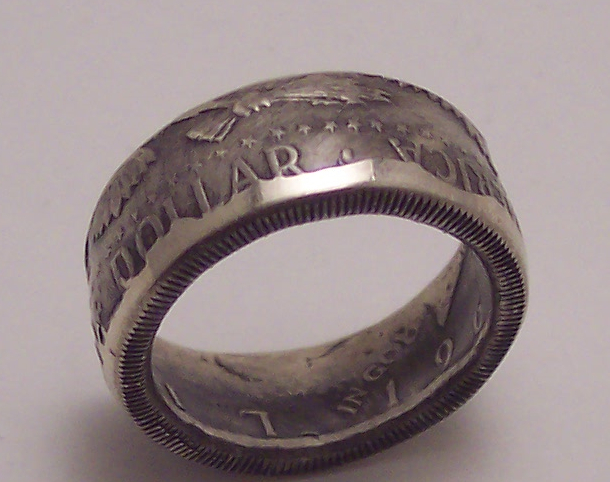 These are very popular coins and I make many rings out of them. Please visit my ETSY store for current items for sale. You can see the words Liberty and In God We Trust.